I used to never wear dresses. I was a shorts and skirts girl for decades. I happen to have a very long waist so dresses that fit were tough to find. Now my body shape is different thanks to babies and time. I have embraced the empire waist, the maxi, the tunic and the a-line dress. They are light comfortable and feminine. They are also easy to accessorize. 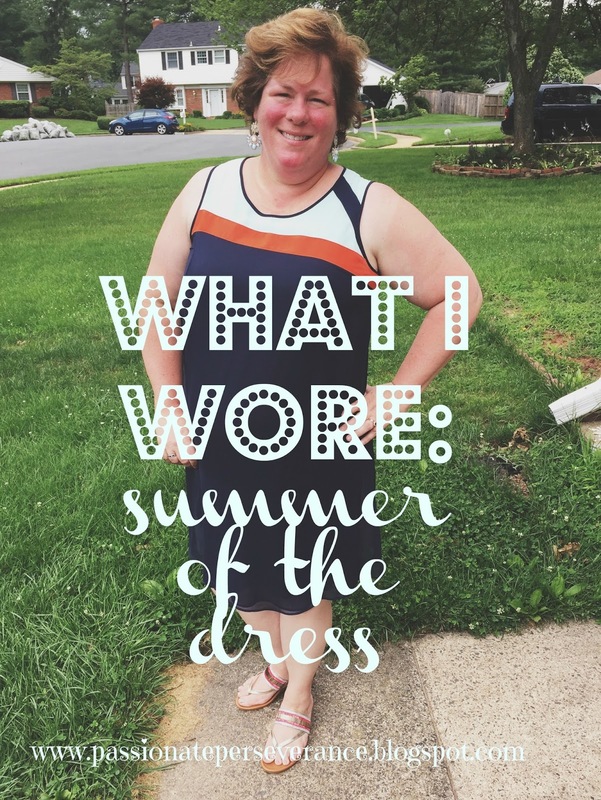 This week I wore two different dresses that were the perfect choices for hot, humid, sumer days. First up is this ice blue cotton number with a draw string waist. Right now it’s not really drawn in (think ice cream. too much ice cream) but as I lose that middle fluff, I can still wear this number and make it work with that drawstring. 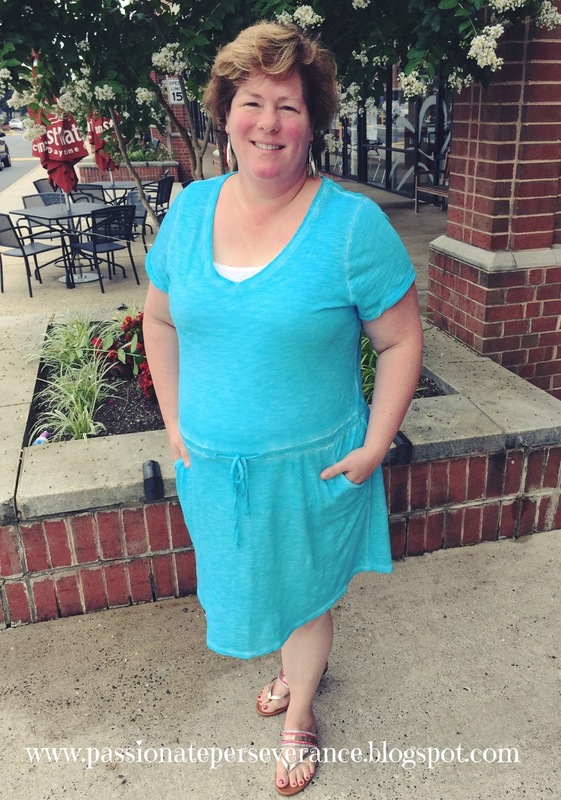 This morning I wore a dress from the 6thAve line at Lane Bryant. 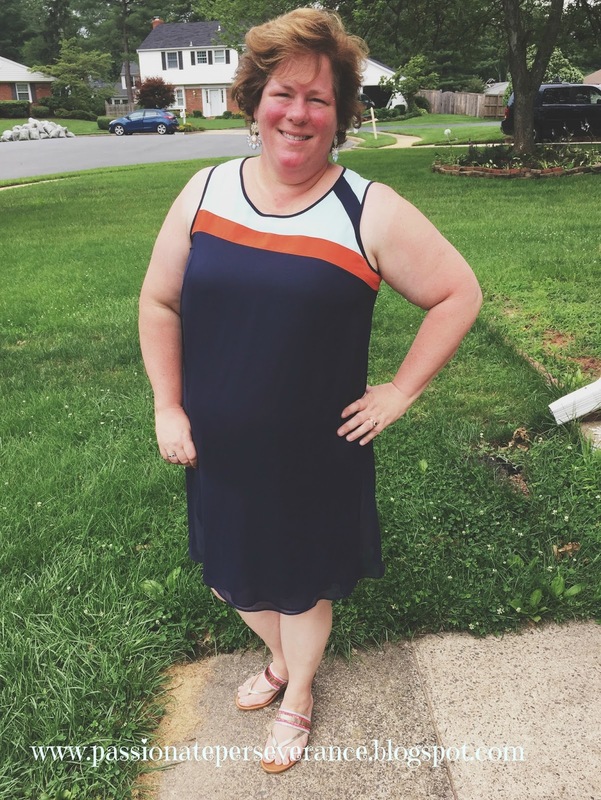 It’s a layered a-line that skims over all my lumps and bumps without any assistance from Spanx. Too darn hot for Spanx. I love the flow of it and the exposed gold zipper down the back is a nice modern detail. I wore the same pair of shoes with both. They are from Lane Bryant. I have had them for a season or two. I love the beading and the cushioned soles makes them a summer staple for me. If you are going to be at edel15 next weekend you will see these beauties. Plus maybe a crazy heel or two. I cannot thank the anonymous individuals that made this trip possible for me. It’s not something even remotely possible for me right now as we pay down Miss Courtney’s medical debt, so please know how much your kindness means to me. I am just so darn happy to be going. Let me know in the comments if you’re going. I cannot wait to meet you there. I'm happy you are going to Edel! I pray God blesses your time with the ladies. I am always so inspired by your Outfits!! I just ADORE a lady in a dress! You happen to wear them so well. You look free and happy. I will be there SOOOONNNNNNN!!!!!!! Can't wait to meet you! I'm a skirt/dress person. I am "fluffy" as you like to say, and I need coverage that pants can not provide.